Are you looking to establish a career in credit control? The expert recruitment team at Portfolio can help you find the role that's right for you. The position of credit control officer is ideal for someone just starting out in the world of finance, as there is great potential for steady career progression. Here's a little more information about the role and what companies expect from their credit control officers. Any job involving money requires an able mathematical mind – especially one like this which can involve very large sums. One of your duties will be chasing up debts from customers who've not yet paid, so an ability to quickly and accurately calculate sums on the spot will aid you greatly in your day-to-day work. Of course, you won't have to work out everything in your head, but in certain scenarios it will come in very handy. Today, most financial records are kept digitally on computers, so it's vital that you are well-versed with computers. You'll be using spreadsheets (such as Microsoft Excel) and database software every day, so you'll put yourself at a great advantage if you already have a good grasp of how they work. Another everyday task of the credit controller is calling up customers on the phone. Of course, the majority of the calls you make will be routine and cordial, but sometimes you will have to call in order to pursue outstanding payments that you've not yet received – or have received late. Therefore, you must have an ability to be firm with customers while maintaining a friendly and personable tone. Chasing up debt is one of the most difficult parts of the job, but if you have the demeanour to be both friendly and firm, you'll be very successful. If you are thorough in your work and you have a keen eye for detail, you won't make many mistakes – and the ones you do make will be easily rectifiable if spotted quickly. Scrupulousness is naturally a highly desirable trait in this sort of work, as small and innocent mistakes, if left unnoticed, can lead to big problems and significant financial losses. Part of your job will be identifying whether potential customers are financially safe to deal with, so the more thorough you can be in your research and your credit checks, the better. What About Education and Experience? You don't necessarily need a finance or business-related degree to become a credit control officer, but as in all lines of work, a good education will stand you in good stead. If you can demonstrate on your CV and your application forms that you've had a solid education and benefited from it as a person, you'll make yourself much more attractive to potential employers. Of course, we can help you tailor your CV and applications so that you come across as well as possible. Previous experience in a credit control capacity is not necessarily required either. If you do have some experience in handling or issuing invoices, then that will certainly work to your advantage, but it's not absolutely vital. 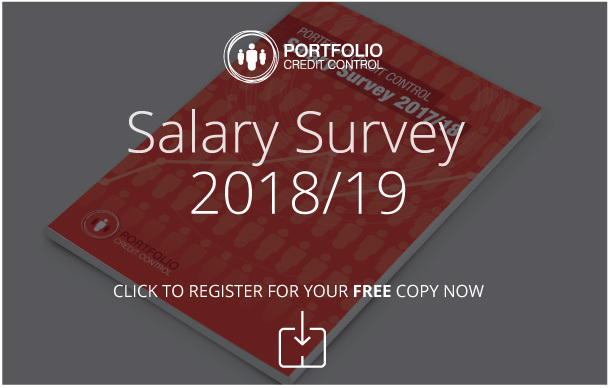 Contact Portfolio Credit Control's specialist recruiters on 020 7650 3199, or email us with your query at recruitment@portfoliocreditcontrol.com. We'll get back to you as quickly as possible.